We love the combination of art, science and religion. This is something that often repeats in our work. This intersection can be found when thinking about orbital mechanics, which we all do, right? This won’t be complex, so stay with me. 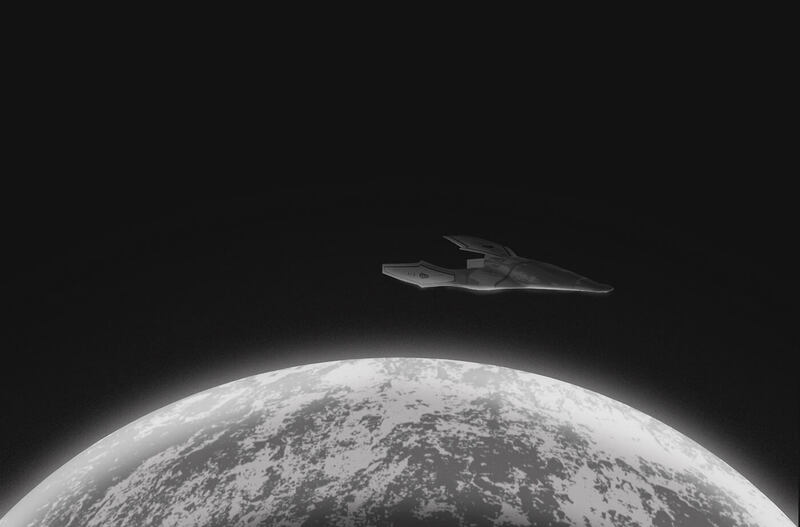 An orbit around a planet, much like running a business (or anything else in life), has its ups and downs. And these can sometimes be cyclical, coming around again. Perigee is the lowest point in an orbit. Apogee is the highest point in an orbit. 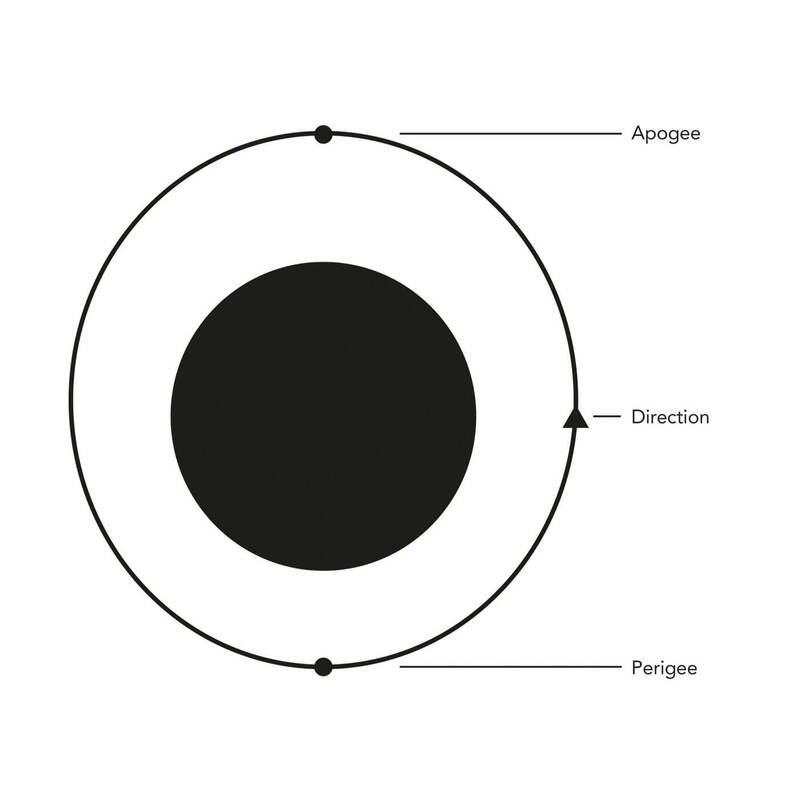 You may have observed that our name “Apogii” directly takes from the word apogee, which is handily explained in this blog post. A real-world example of these things happening is the International Space Station whose orbital perigee is 397km from the Earth’s surface and it’s apogee is 405km. Nice and circular. Now why is this relevant to us? A day (or a week) that starts badly and doesn’t seem to get better is like perigee. Those days that come out of nowhere and seem to want to slam you into the ground. 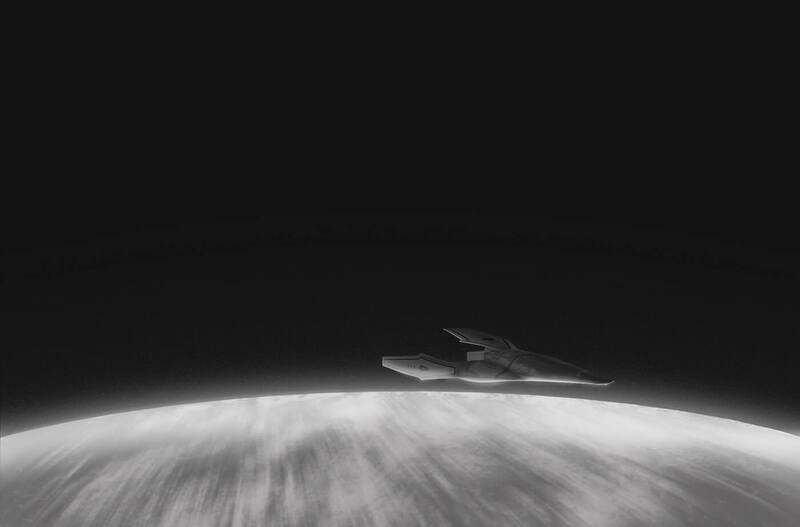 Life seems to rush by like the surface of the earth at low orbit. Keeping running seems to only give the same results. Apogee is like the higher points of business and life. We’d all like to be here more often. The times when everything clicks into place, we are on top of everything. We are soaring and the ground from here calmly drifts by because we are at such great height. 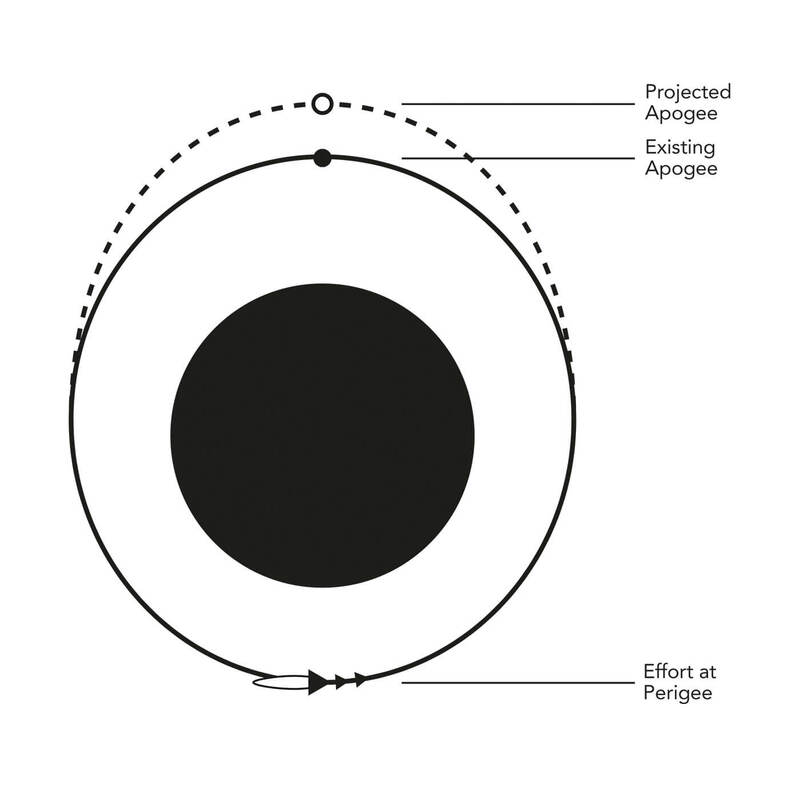 Effort at perigee puts in height at apogee. As long as the effort is pushing in your current direction this energy will give you a higher apogee or highest point. It’s like throwing a ball; the harder you throw it, the higher or further it will go. 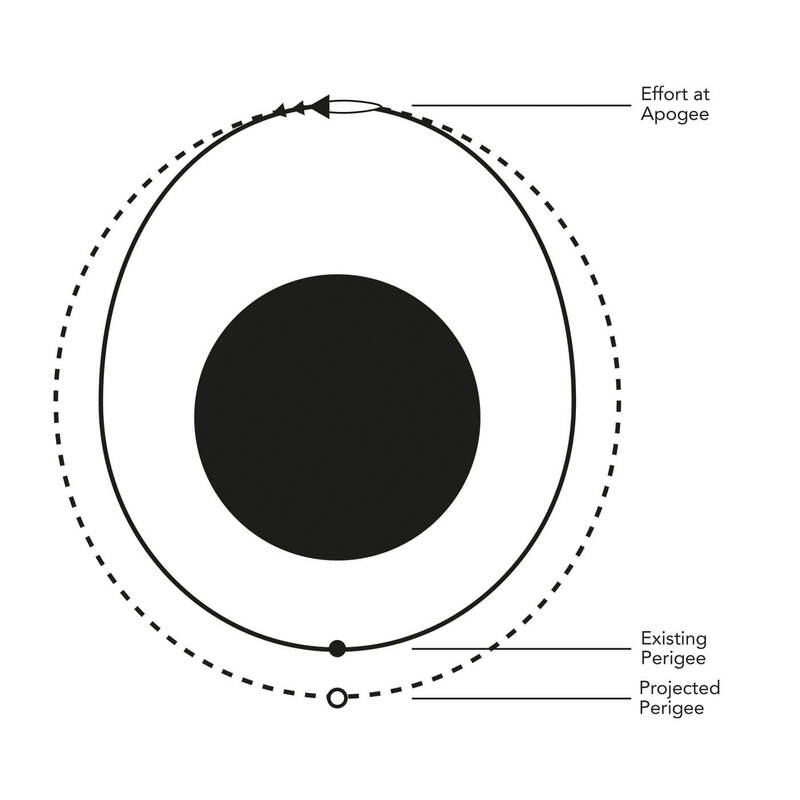 The greater the amount of energy put in at perigee (low point), the greater the apogee (high point). So now you know when to turn on the engines to get a higher apogee, but what about that dip on the other side of the planet, the perigee? If you want a nice even ride (or at least one with less of a roller coaster path), what can you do? A further push in your direction of travel at apogee (highest) point will bring your perigee (lowest) point higher. When things are riding high and you can seemingly coast, putting just a little effort into your overall direction will make the lowest points that bit less, well, low. This is like investing in the future, putting some energy into the ride on the far side of the planet. Everybody’s orbits, whether in business, their place of work or home are different. We are all on different “trajectories” and each one will need rest/coast periods. No one can push forever; written here is observation of laws in creation and how they can be applied by us. Do let us know what you thought of this post.